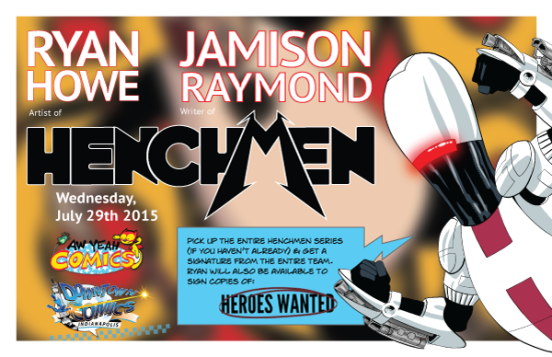 Upcoming Signings – Come See Jamison, Ryan, and Brian in Muncie and Indianapolis, Indiana! Great news for the folks of Indiana – Ryan and Jamison will both be in town on 7/29, signing at Aw Yeah Comics in Muncie, and Downtown Comics in Indianapolis. Ryan will also be hanging out with the Action Phase Games crew at Gen Con on 7/30. Be sure to come out, say hello, and get your books signed!